So you’re dreaming of adventure, but don’t want to do the usual stuff? You know; sightseeing, taking a thousand selfies at that famous bridge, or mingling with a horde of tourists for a chance to get a photo of a statue of which they sell countless postcards. Ever considered party holidays? An increasingly popular travel alternative is all-inclusive party holiday packages which are not only a lot of fun but are a great way to meet new people particularly the “real locals”. Party Holiday tours are often planned around festivals, nightlife and events where people get together over a few drinks or music. As a bonus, they leave you a lot of free time to do your own thing during the day like… well, sightseeing if that takes your fancy. Or just a good sleep-in. Party holidays are a fantastic way to meet people and make lifelong friends. Let’s face it, you’re far more likely to talk to people (locals and fellow travellers) at a pub, club or bar, than lining up for some famous monument. At Thirsty Swagman, we’re always amazed at how people who’ve met on one of our festival packages (which usually run for just 2 or 3 days) have bonded over a beer and remain close friends many years later. In fact, our favourite stories that are written on our holiday party packages are when travellers tell us many years later that they’re still good friends with that fellow thirsty girl or guy they met on tour – over a beer, wine or piña colada… or 7. Before, they lived on different continents and now they’re party travel mates for life. Would this happen while standing in line for a museum? Probably not. So what makes for the best party holidays? Well that’s like asking what’s good to see in a new destination. Everyone has different tastes. But there are a few things we recommend. Go local. Trust us, this is where the action is, and you’ll get a far more unique travel experience. Sure, your franchised brew-pub may have appeal, but it’s not where you’ll meet a lot of people living in the area. They know the place best, and the most memorable stories are told by them. They also have an uncanny ability to know where the best party is. Try a few of the smaller bars where the locals go. That tiny old watering hole in a village or that side-alley pub that you stumbled across (on your way to check off a “must-see” tourist attraction). Stay close to where you’re raising a glass. 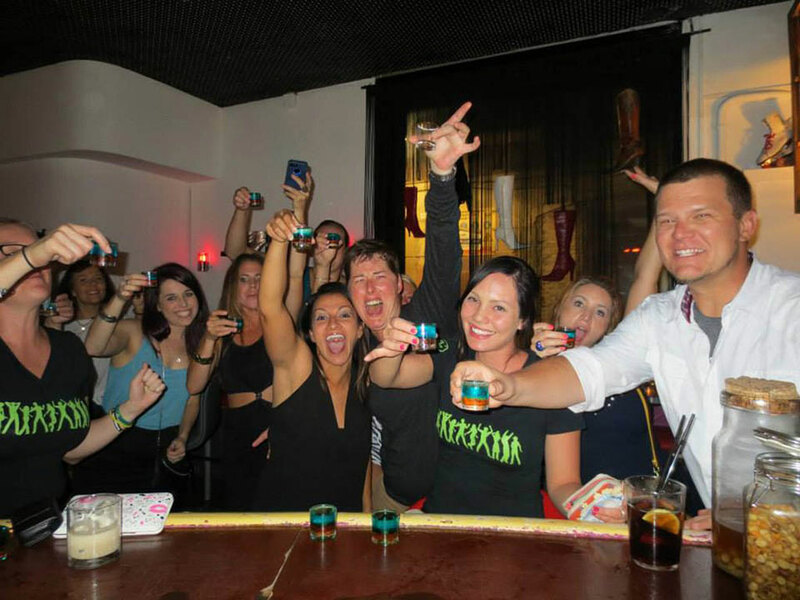 Planning to experience a city’s nightclub scene on your party holiday? Attending some of the world’s renowned beer festivals? Or going to an epic music festival? Your vacation will be far less stressful and safer when you don’t need to navigate a long hike back to your hotel after a night out. You’ll spend more time partying and less time getting there. It’s well worth any extra cost. Do your research before you go. Sure, you can just Google “Top party holiday destinations” and you’ll get the usual list: Ibiza, Amsterdam, Berlin – the list goes on. While they’re all great party destinations (especially for the younger traveller), often the most unique travel experiences are made at places off the beaten track. Spend at least some of your trip going to a few not-so-well-known destinations. The stories you’ll come back home with will be worth it. Well perhaps you could, but actually partying alone… that would be just a bit weird. We like weird, but not quite that weird. The solo traveller on the other hand, they are amazing. They often have that rare skill where they can make friends with strangers within minutes wherever they go. They’re probably the life of the party as well, and when you meet one of them make it your mission to have a drink with them. They’ll tell you stories that’ll have you laughing, they’ll instil that beautiful travel bug in you and can often tell you places to go that you’ve never even heard of. But let’s face it, if you’re going on a party holiday then you’re there to meet people, make friends, rock out to some music festival and raise a few drinks. So inevitably you’ll be in a group in some way. So travelling in a group is a great way to party. It’s safe, fun and can be much more cost effective. Today there are so many options available to do this, with countless tour operators offering party holidays. From beer trips to festival tours, from nightclub tours to group tours for 18-30 year olds. The choice is huge, so take your pick and get that passport ready! Ready for a party holiday? At Thirsty Swagman we combine the love of travel and a good party. 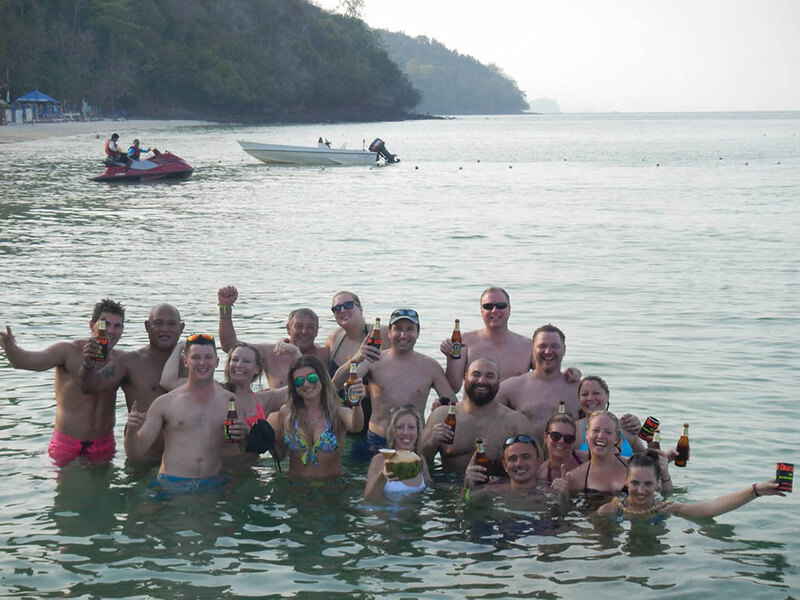 We believe that relaxing with a beer (or any drink for that matter) is one of the great pleasures of life and the best way to make new friends and meet the locals. 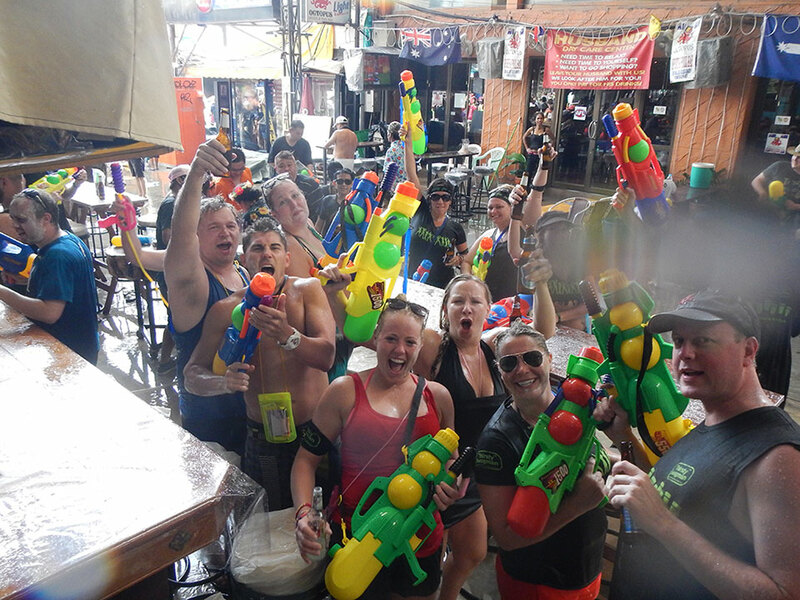 Our party holiday packages and festival tours (we call them Thirsty Adventures) feature premium hotel / resort accommodation and zero boring sightseeing!